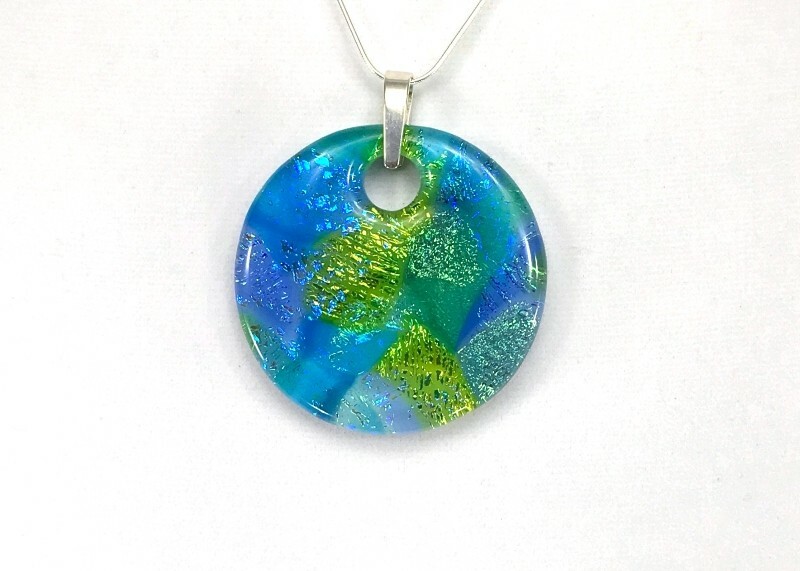 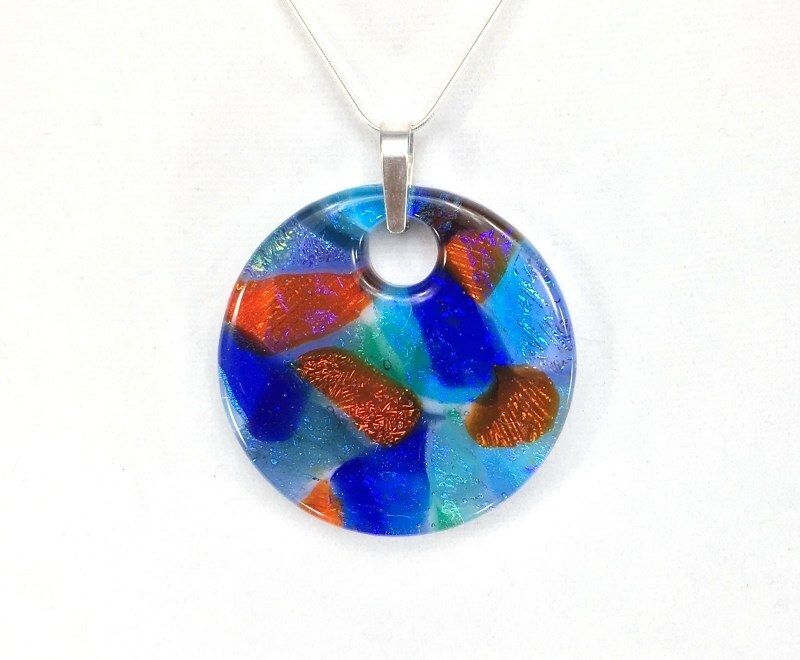 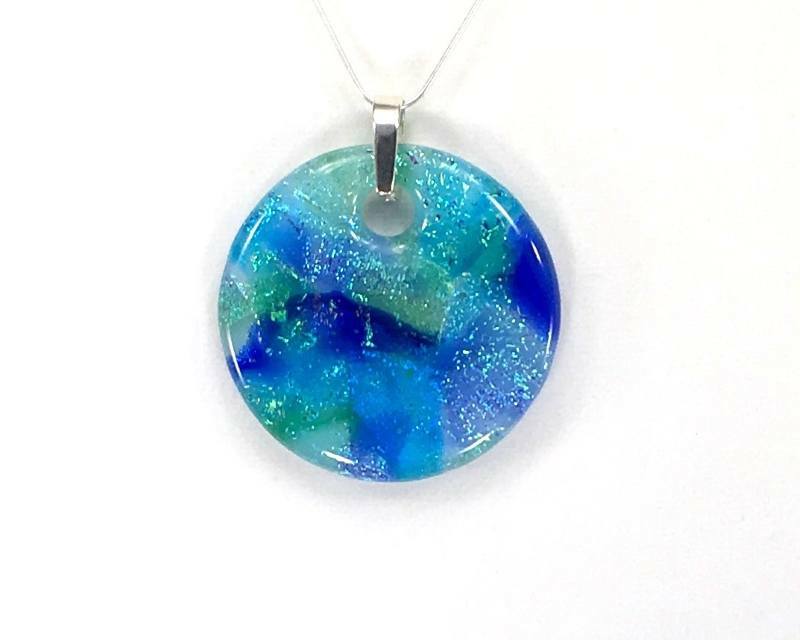 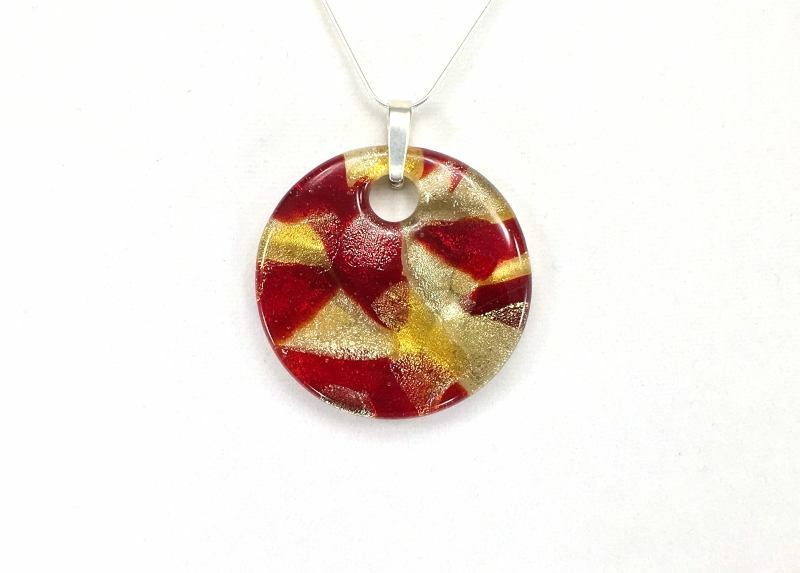 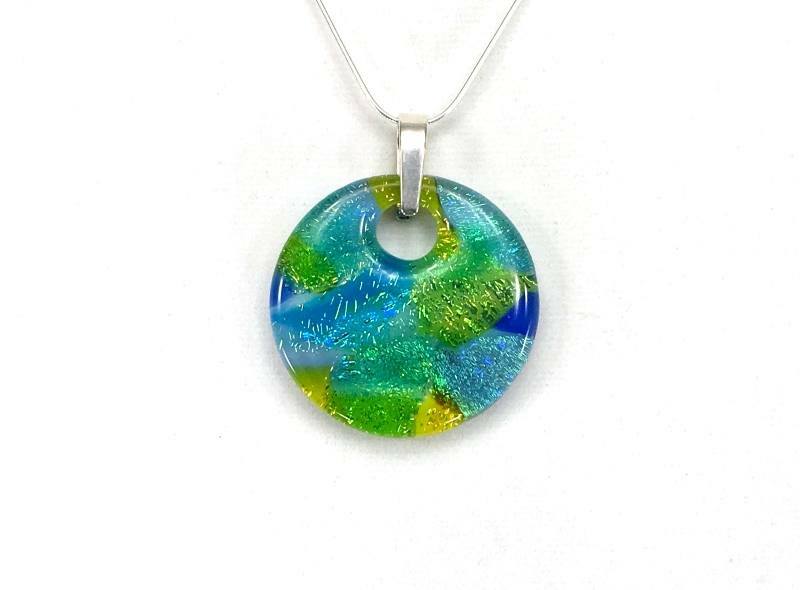 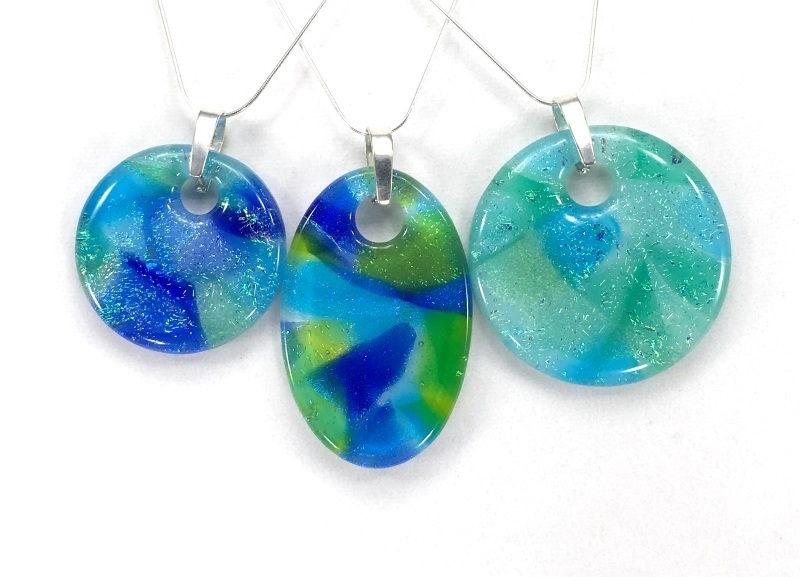 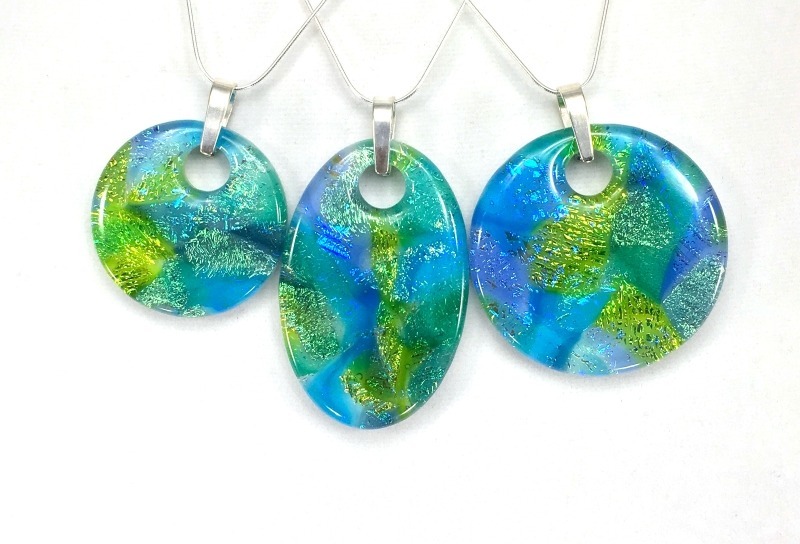 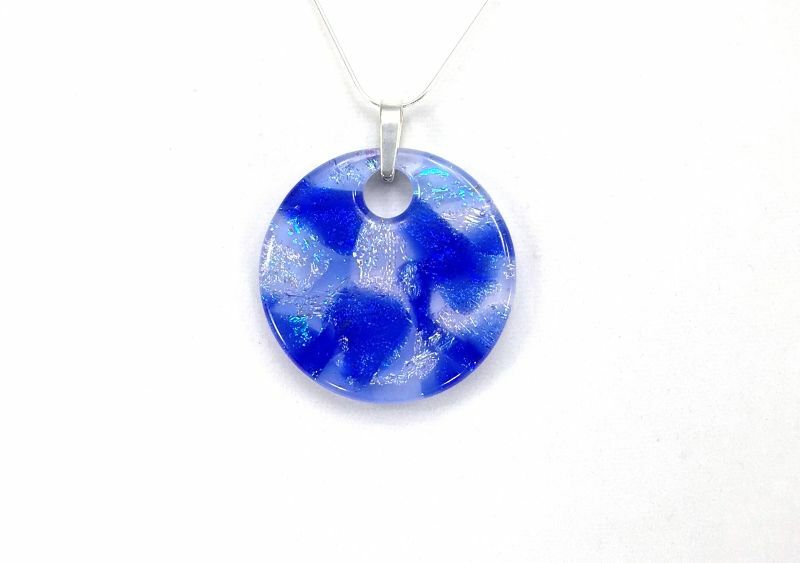 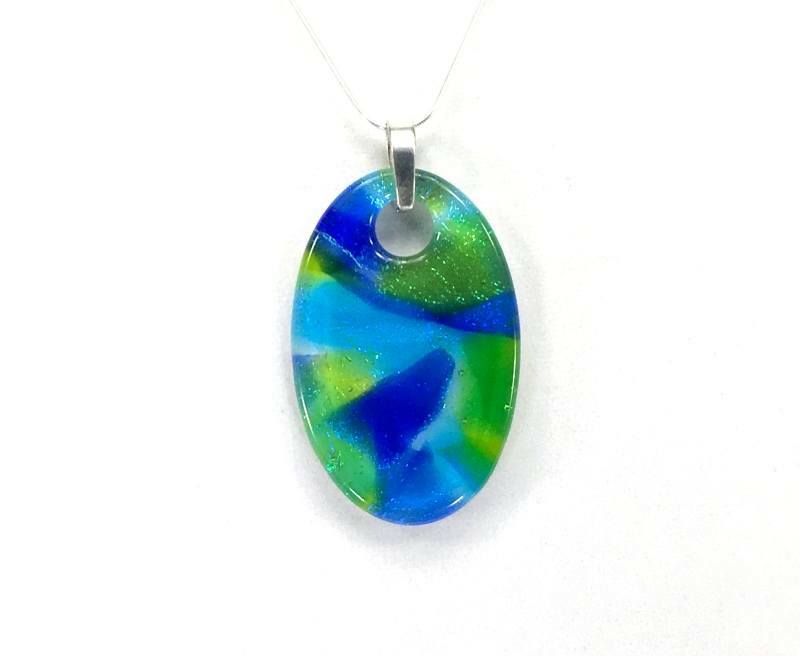 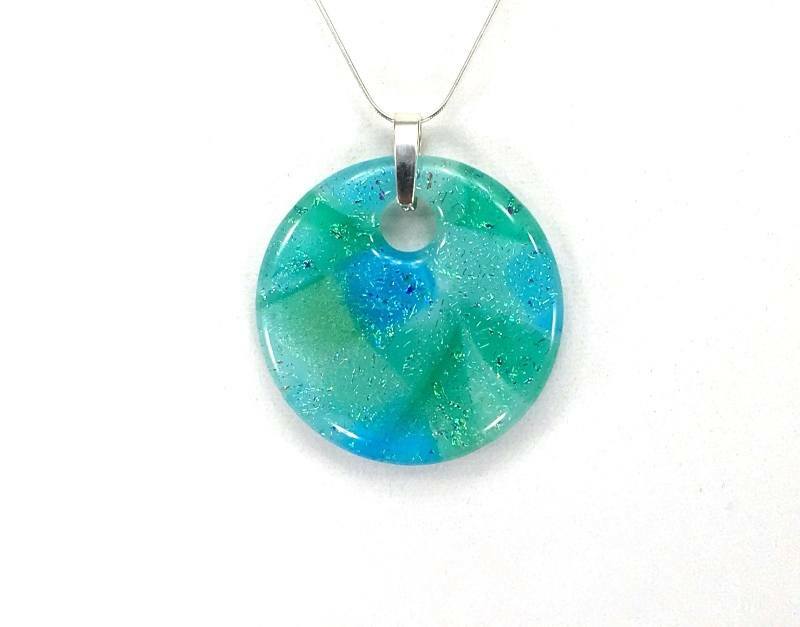 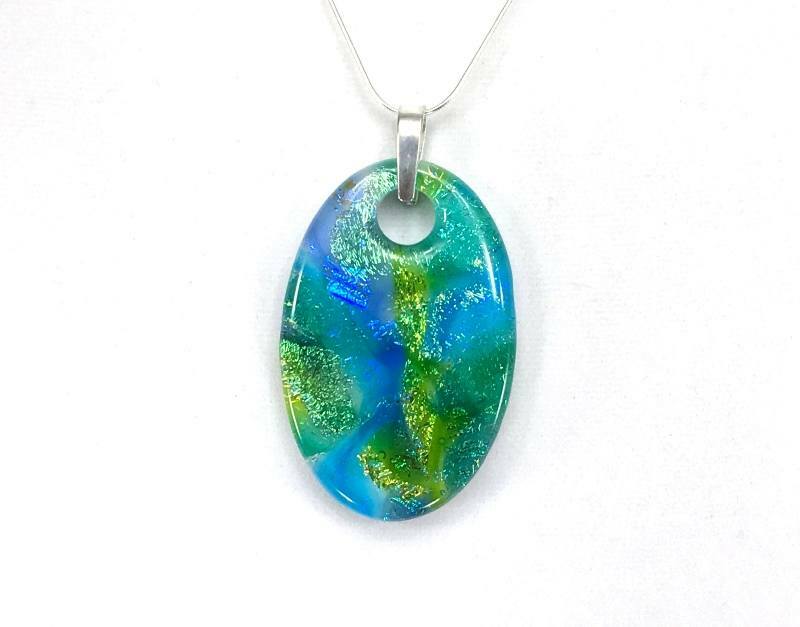 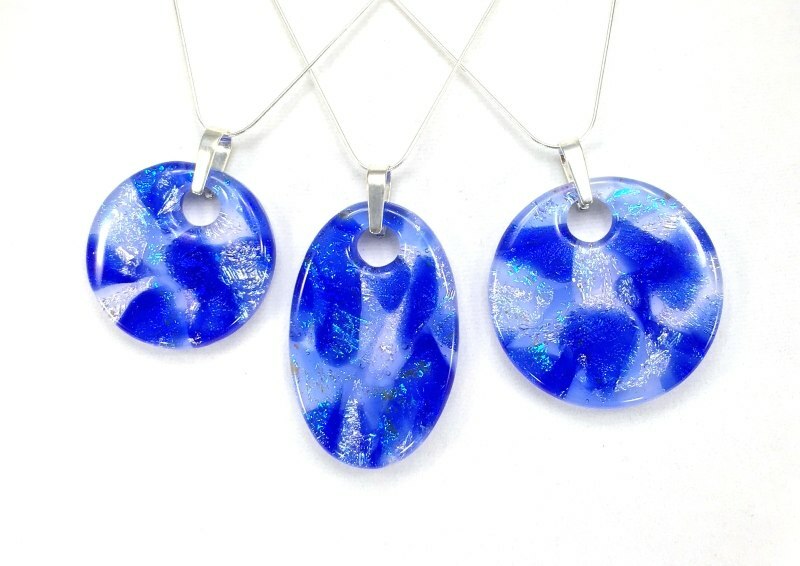 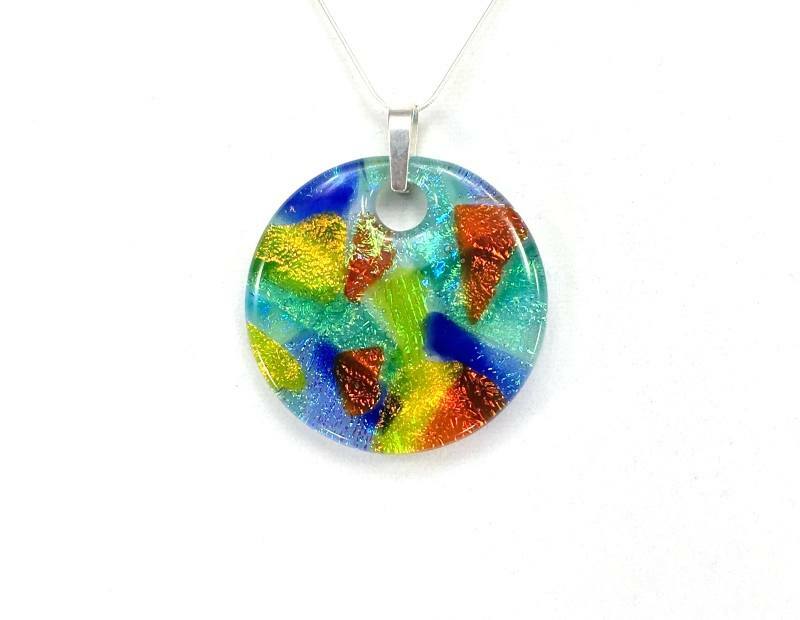 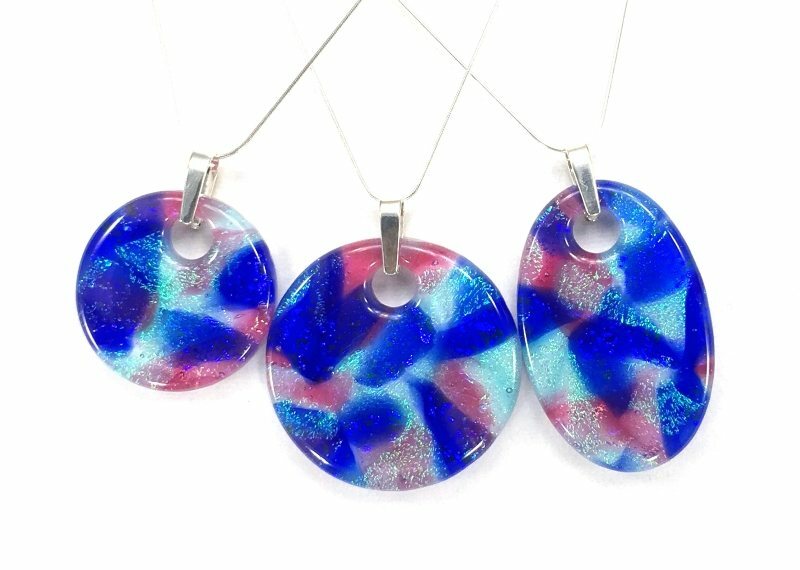 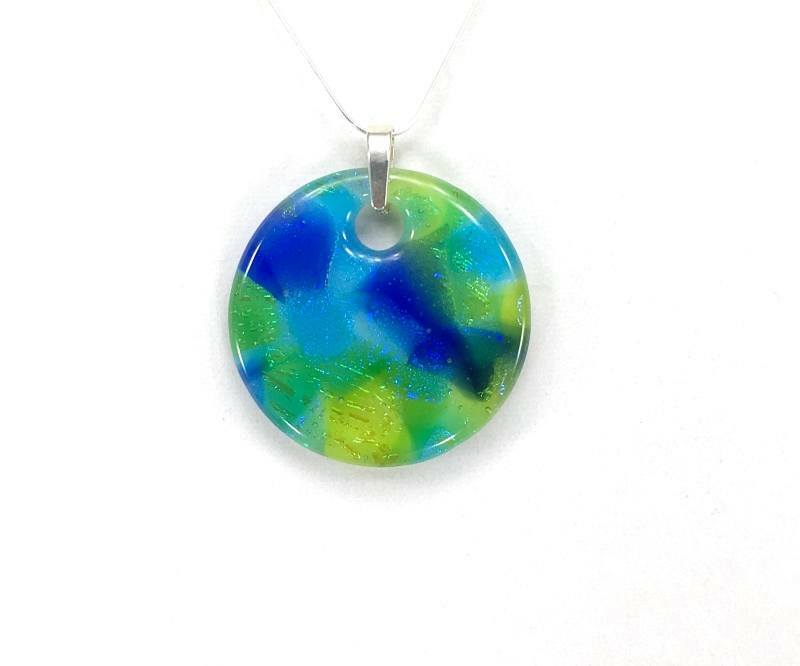 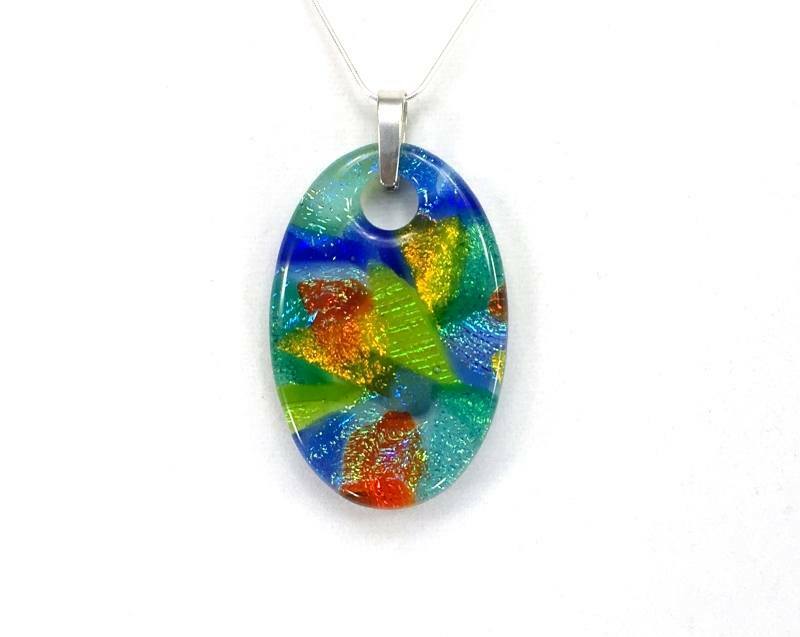 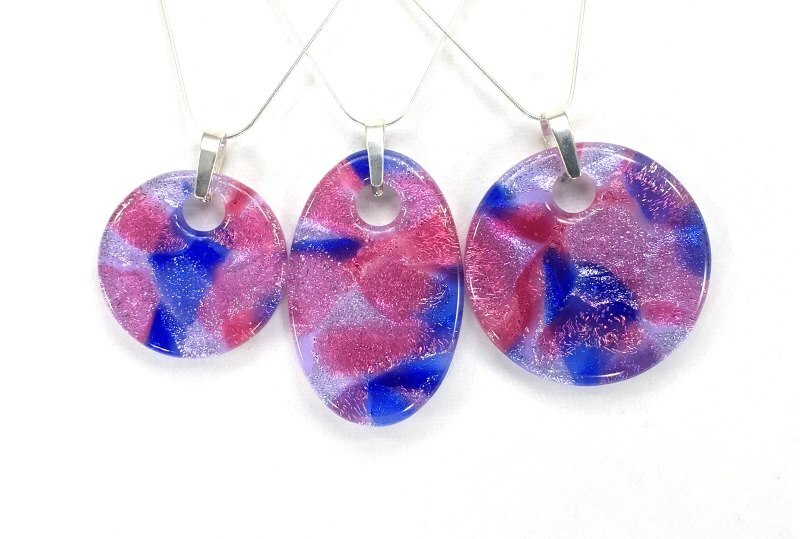 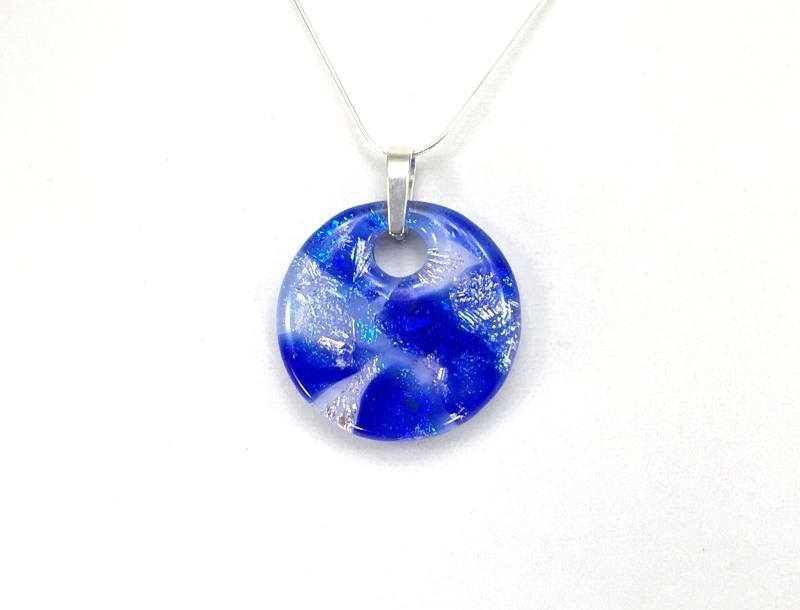 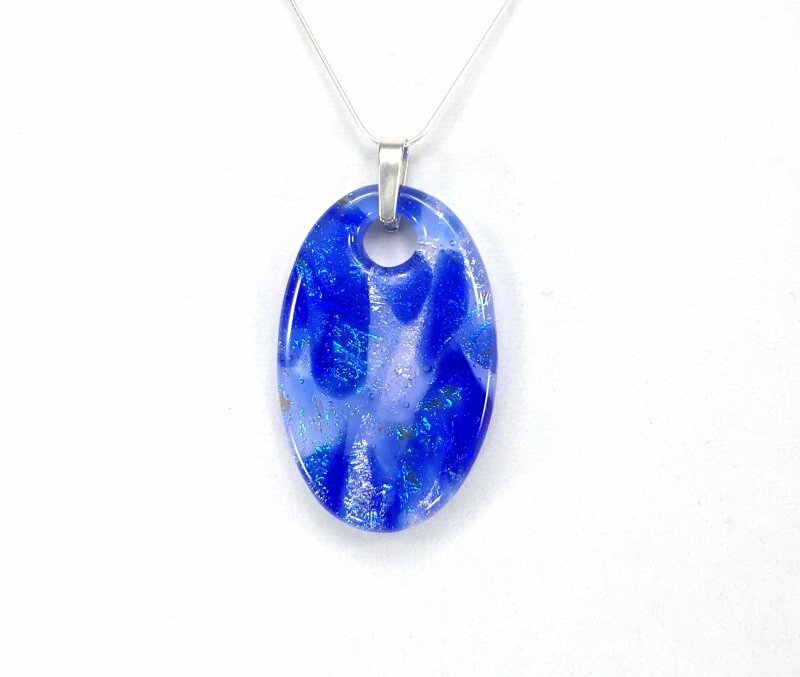 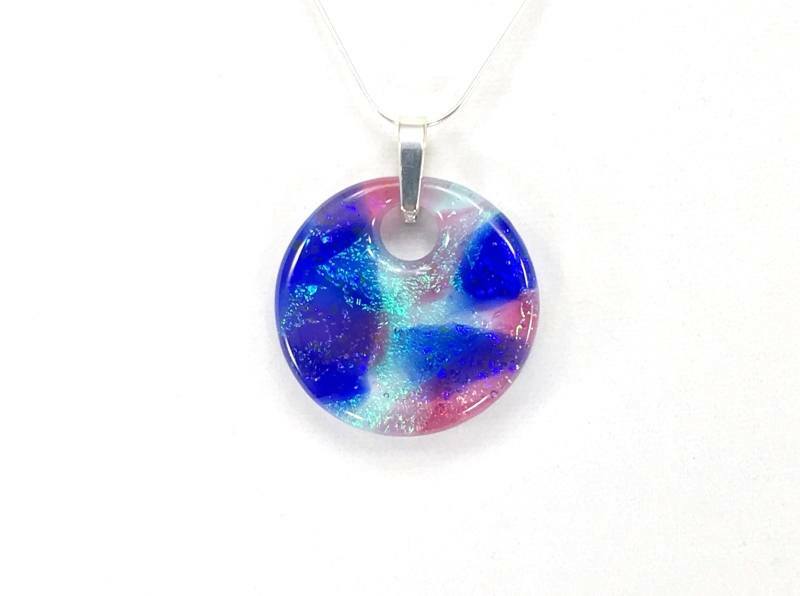 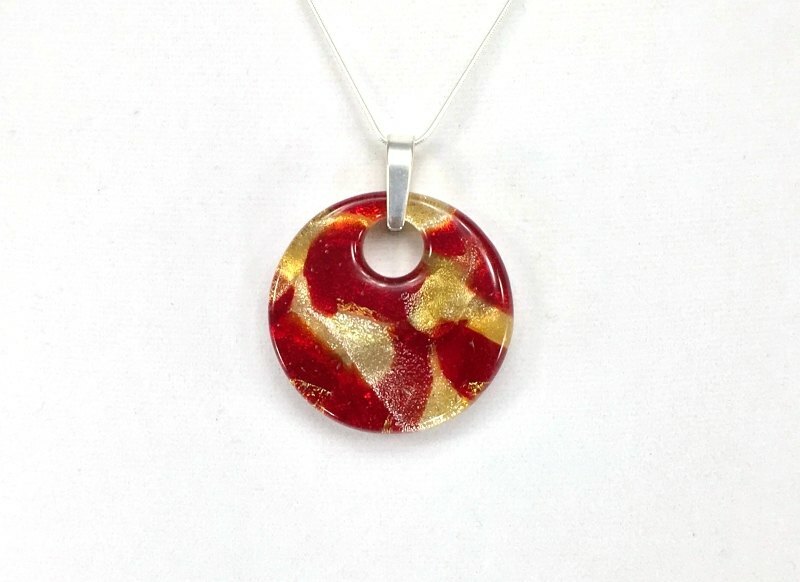 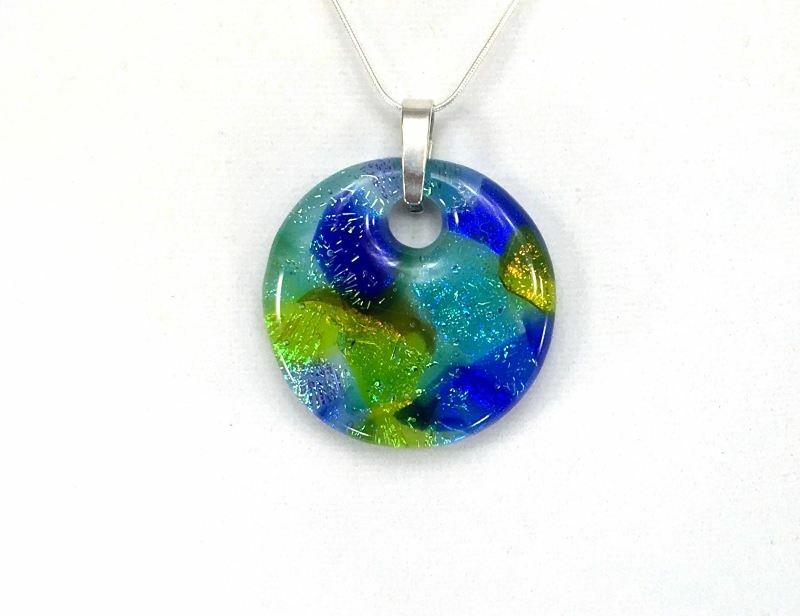 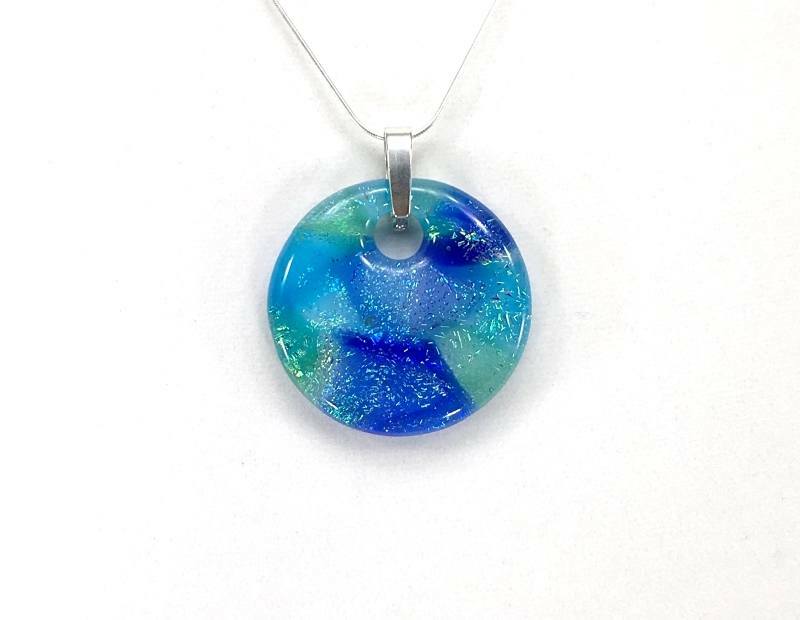 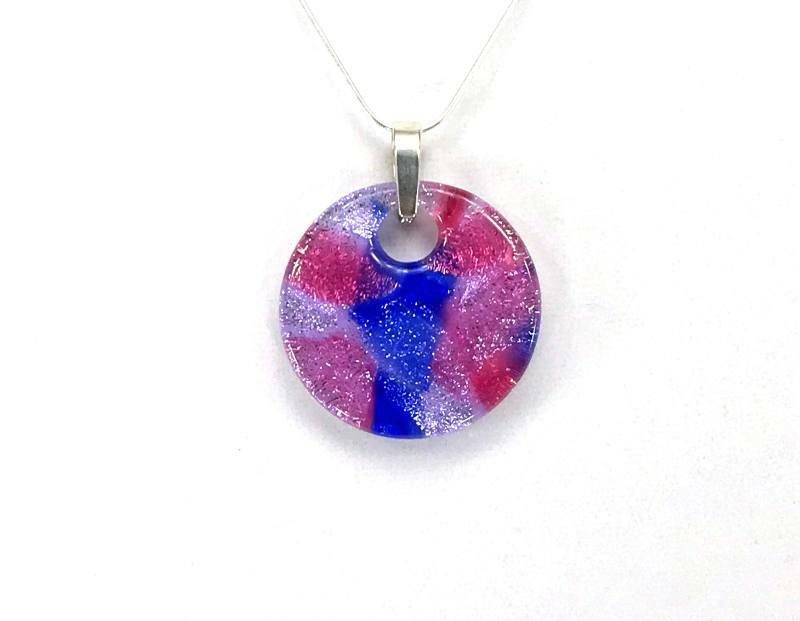 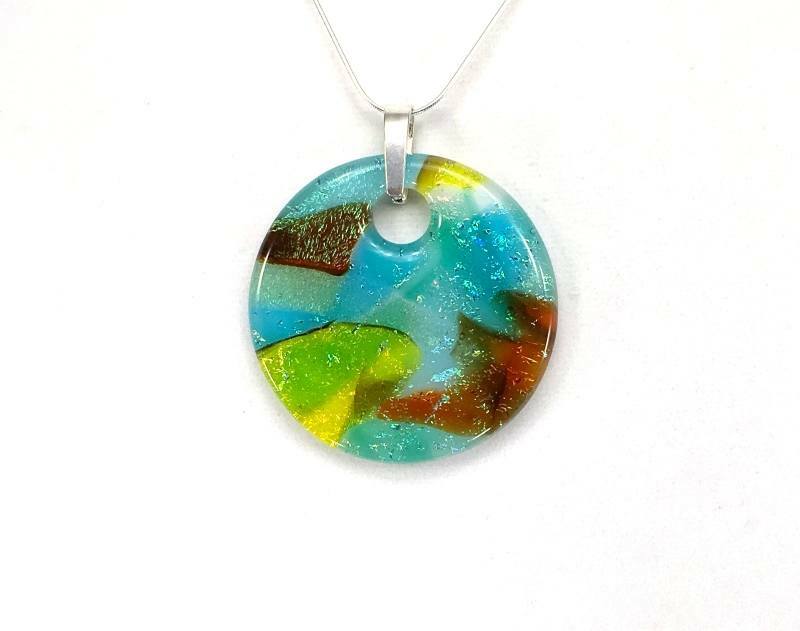 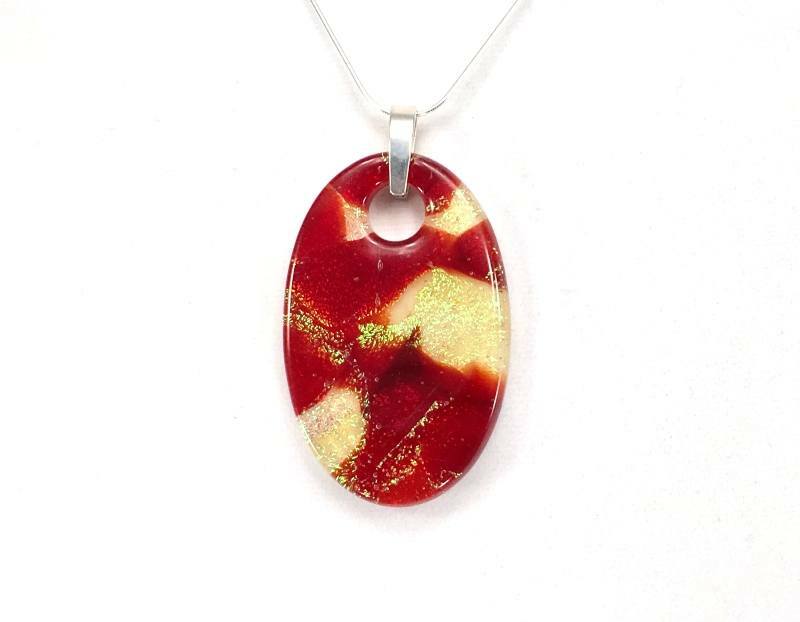 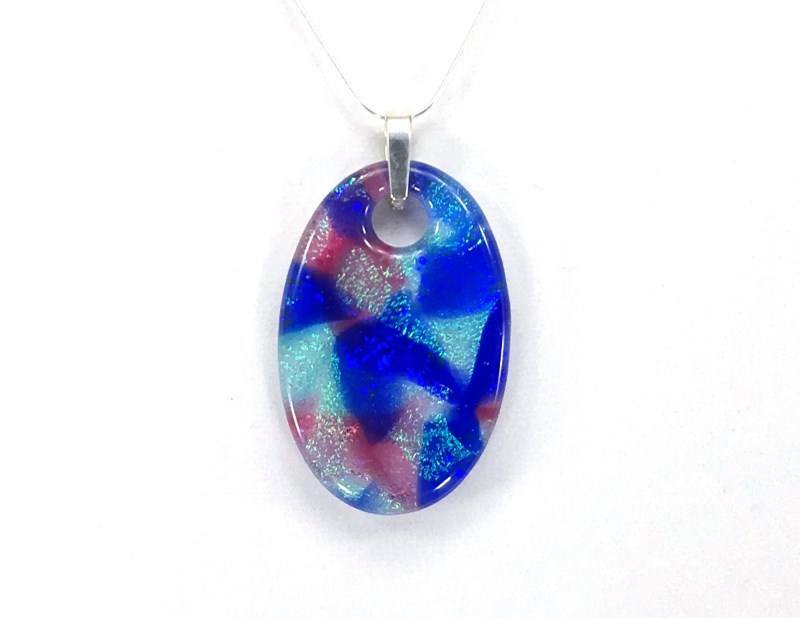 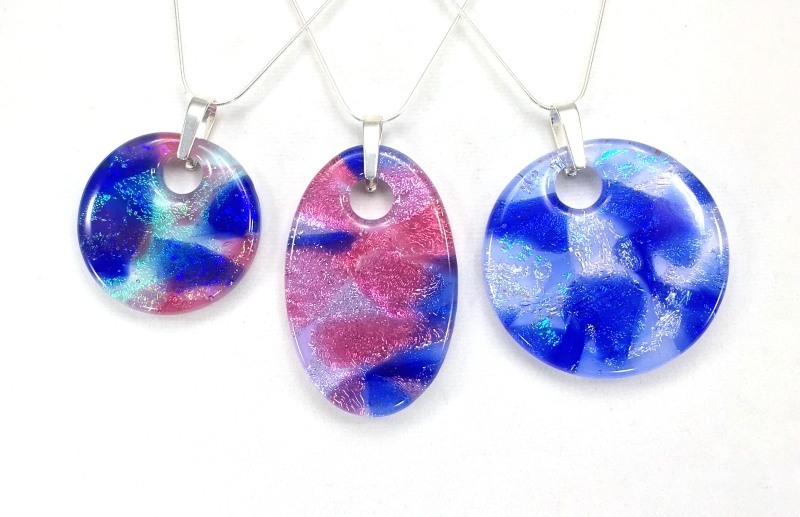 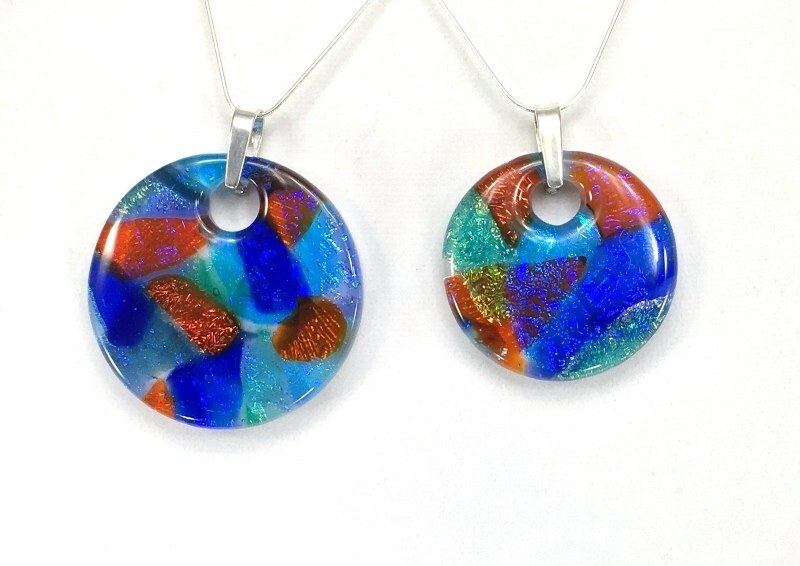 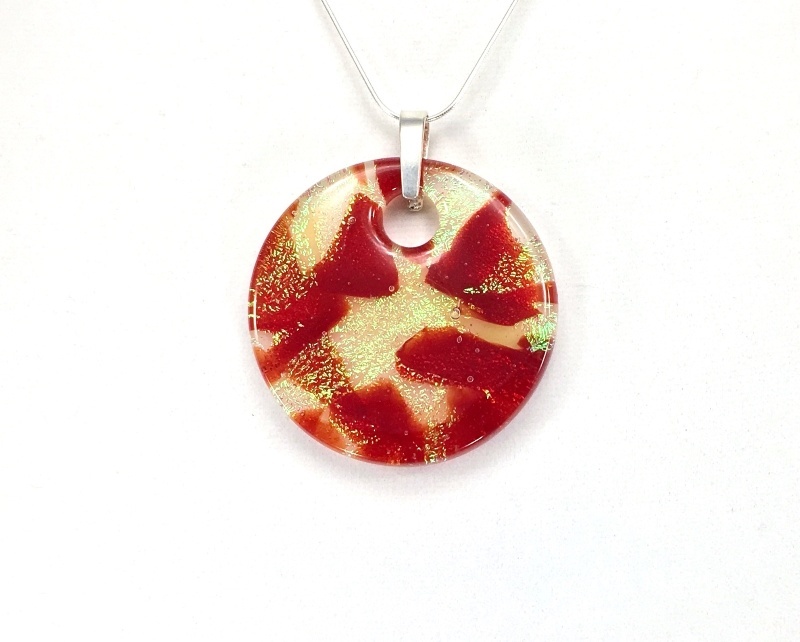 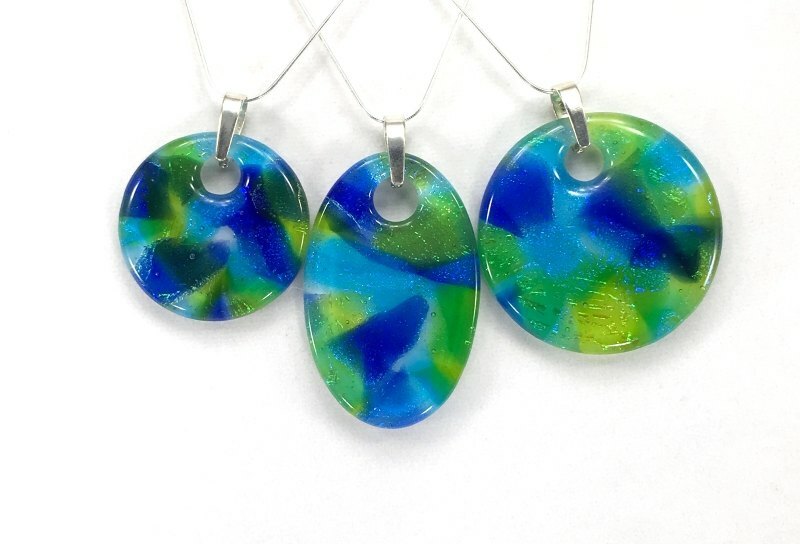 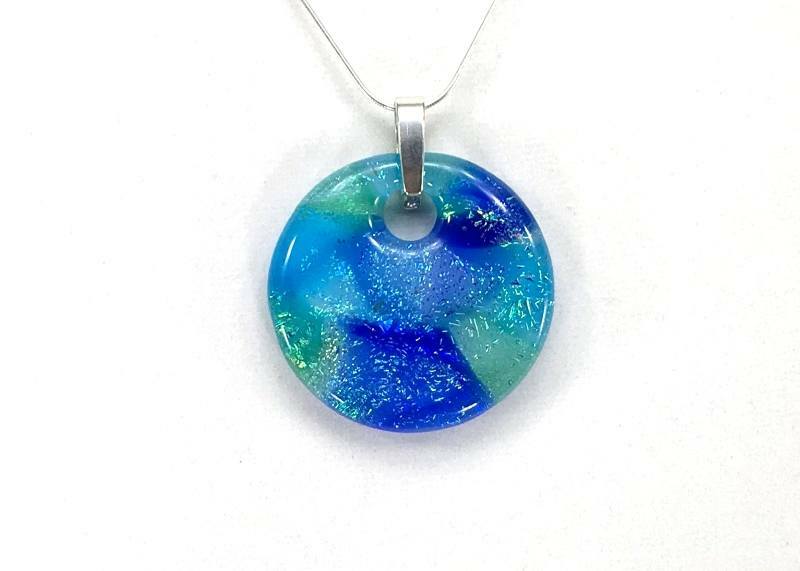 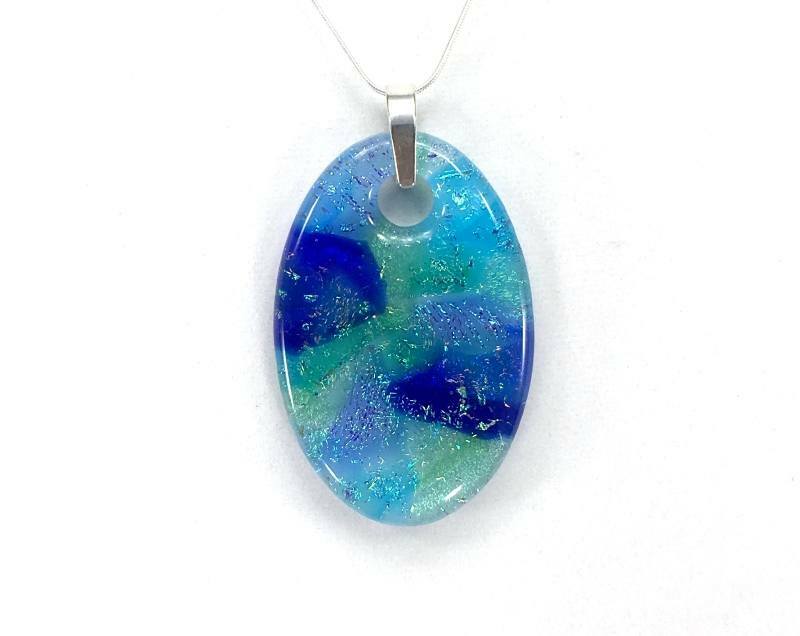 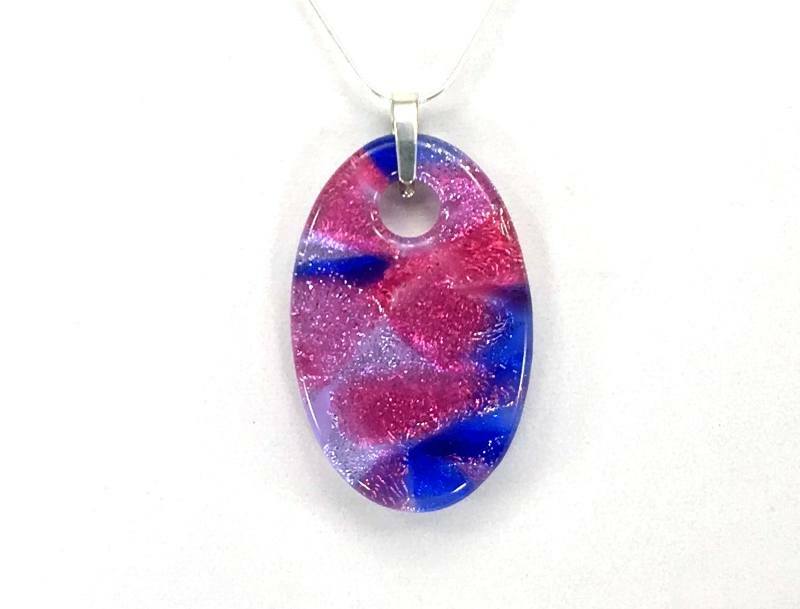 Vibrant transparent colours fused over dichroic glass combined and layered in the kiln to produce both striking colour contrasts as well as subtle colour transitions throughout the piece. 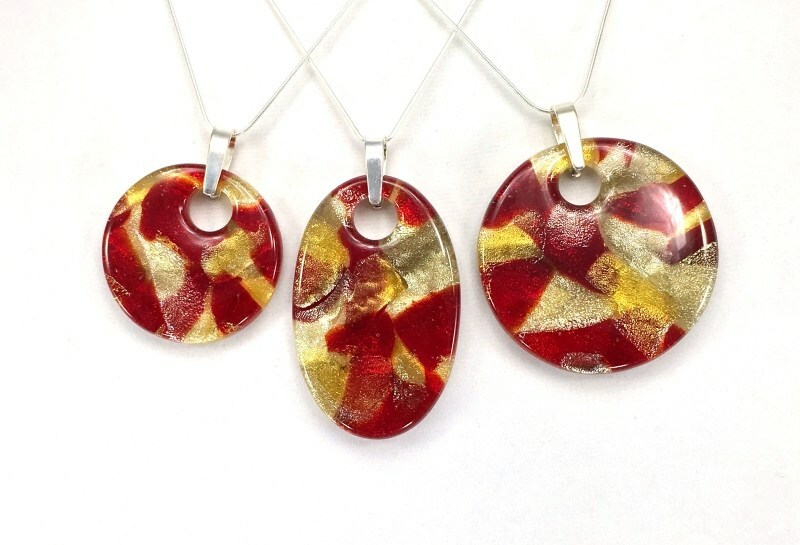 Each piece shaped and smoothed by hand and returned to the kiln to polish the glass and soften the edges. 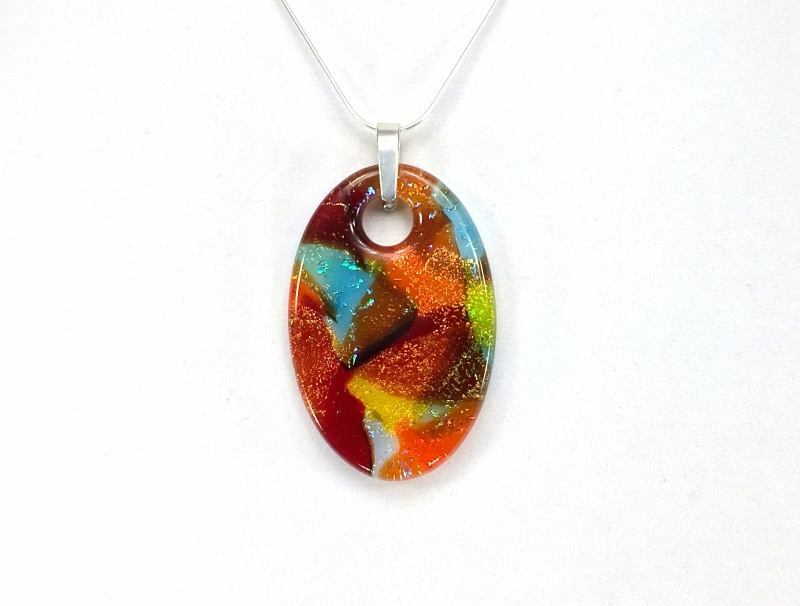 Finished with sterling silver bail, 20” sterling silver chain and jewelry box.